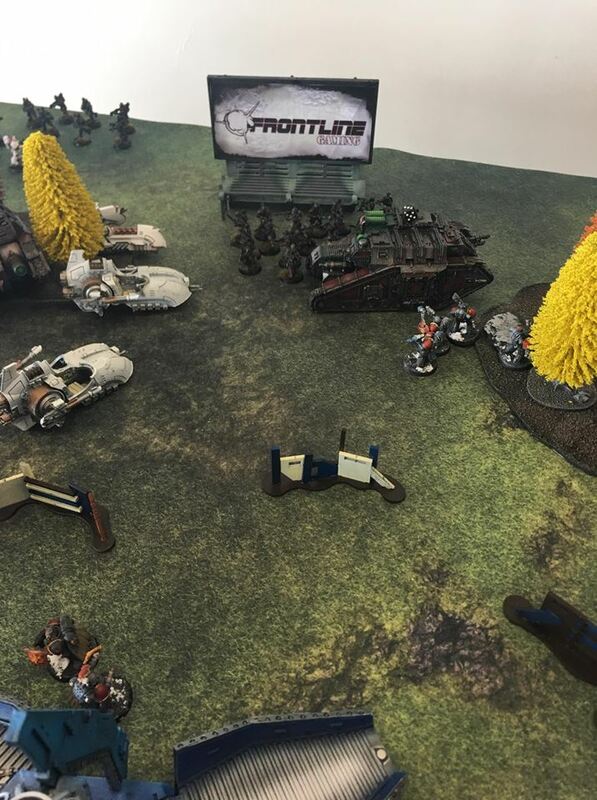 Ranto here from FLG Aus, just came back from out first ever Australian 30k Doubles Event! It was a blast! We had three games over the day, with some very pretty armies! 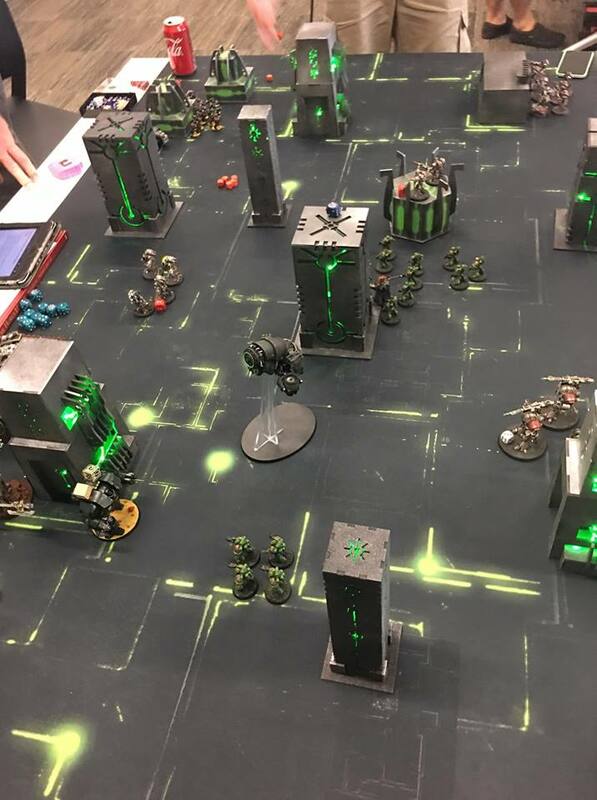 It was a Swiss style event with players playing on all tables built and made by Frontlinegaming Australia, all with FLG Mats and ITC Terrain, with our own special touches like the Robot City table fully lit up! The final was between the Loyalists Rohan with his White Scars paired with Spud Carroll and his mighty Space Wolves playing Paul with the Sons of Horus and Samuel and his Dark Mechcanicum for the warmaster! They had an epic finish with the Space Wolves cleaning up with Spuds mighty Grey Slayers getting the MVP for the game, even though Rohans Leviathan took out almost every vehicle on the Warmasters side! It was an epic finish and a really close one! But the Emperors finest prevailed! Second was Paul with his Sons of Horus and Samuel and his Dark Mechcanicum. winning two pieces of ITC Terrain each. 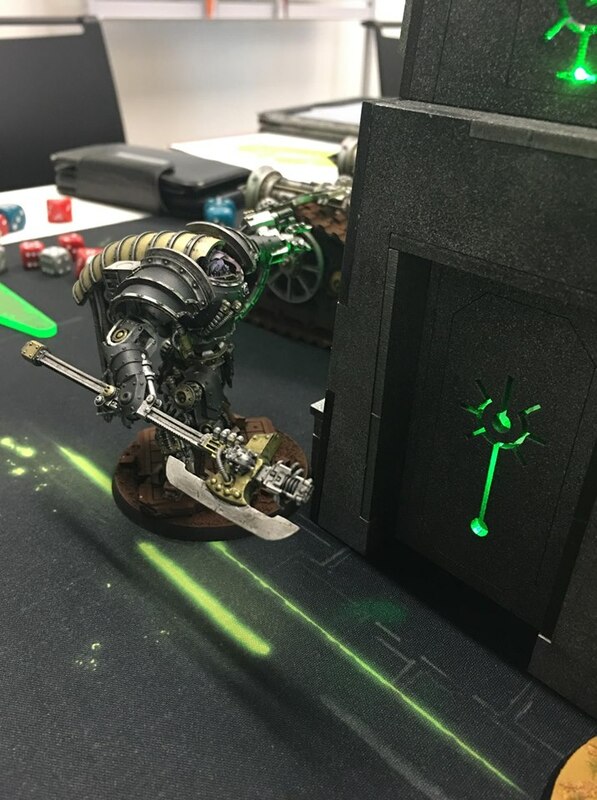 TOs choice Paint award was Paul and his Sons of Horus who walked away with a ITC Shield Generator! Thanks to everyone who attended, it was a blast, we hope to see you next time!! The legendary Spud enjoying a drink after his Victory!